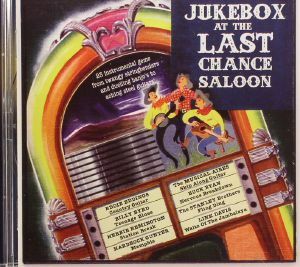 VARIOUS Jukebox At The Last Chance Saloon vinyl at Juno Records. 1. Eddie Eddings - "Country Guitar"
2. Allen Shelton - "Bending The Strings"
3. Jackie Phelps - "Guitar Cannonball"
4. Billy Byrd - "Teenage Blues"
6. Buddy Dee - "Country Rockin' & Flyin'"
7. Arthur 'Guitas Boogie' Smith - "Boogie Battle"
8. Bill Wimberly - "Missouri Drag"
9. Jackie Phelps - "Alabam"
10. Jackson & Buddy Emmons - "Fort Worth Drag Shot"
11. 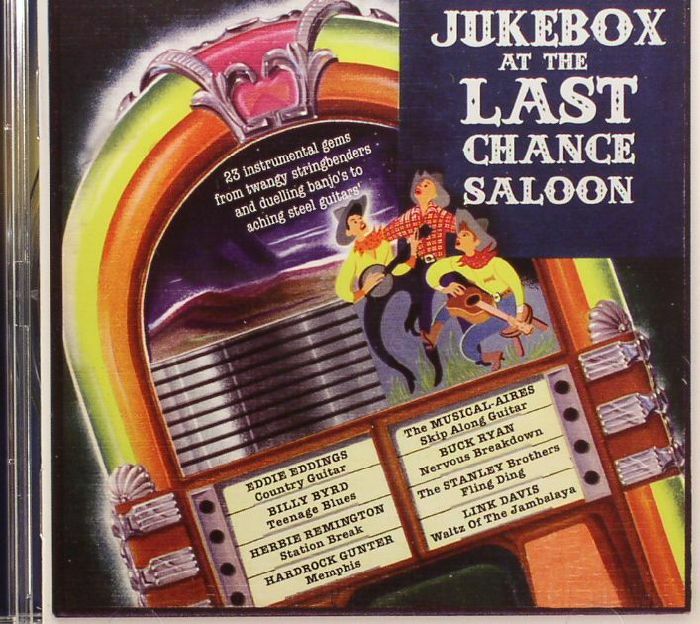 Herbie Remington - "Station Break"
12. The Musical-Aires - "Skip Along Guitar"
13. Hardrock Gunter - "Memphis"
14. Buck Ryan - "Nervous Breakdown"
15. Joe Maphis - "Fire On The Strings"
16. Buzz Busby - "Banjo Whiz"
17. Leon McAuliff & His Cimarron Boys - "Boogie On Strings"
18. Jackie Phelps - "Ham & Biscuits"
19. Thumbs Carlille - "Thumbs Guitar Boogie"
20. The Stanley Brothers - "Fling Ding"
21. Ernest V Stoneman & The Stoneman Family - "Orange Blossom Breakdown"
22. Link Davis - "Waltz Of The Jambalaya"
23. Jackie Phelps - "Tennessee Strings"